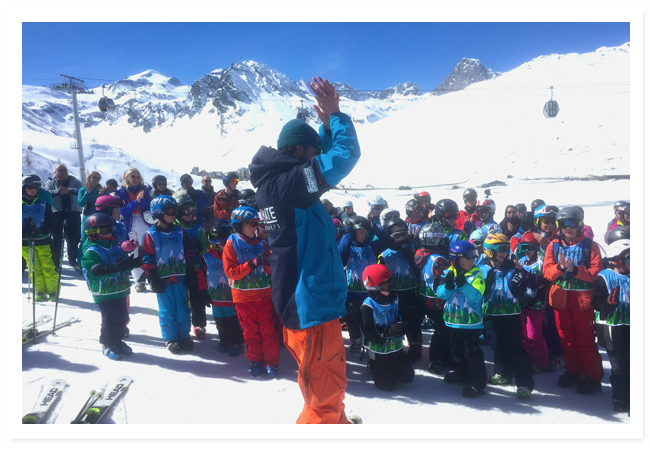 For children, we provide an enjoyable ski school experience through fun tuition and positive encouragement, in a safe learning environment. Your child has never skied before or would benefit from a fresh start. 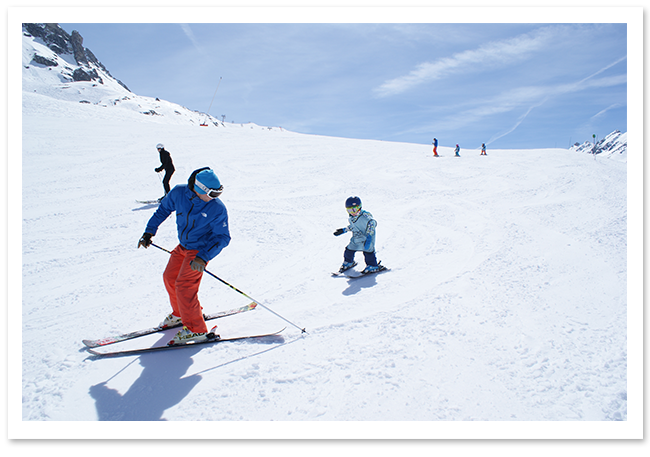 Your child has skied before and is able to ski green runs using snowplough turns to control their speed. Your child is able to ski blue runs, easily linking parallel turns, but on steeper red runs reverts to snowplough turns to maintain speed and direction. Your child is able to ski red runs, mainly using parallel turns to control speed and direction and is now looking to continue on more challenging black terrain. 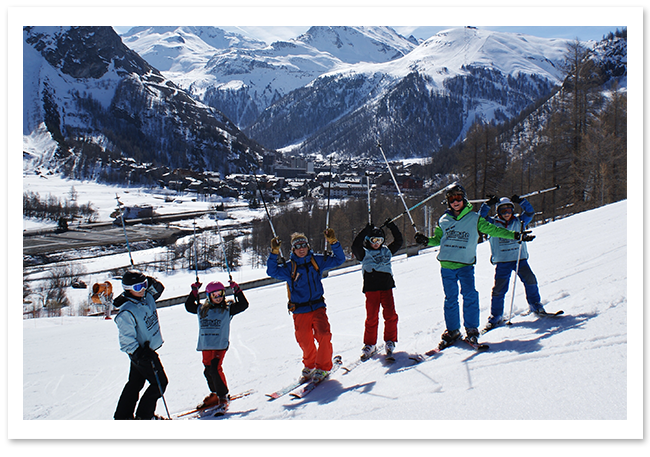 Your child is able to ski black runs, maintaining parallel turns; they are now looking to develop technique and move onto more varied and challenging terrain. Specifically for teenagers. These sessions are designed for teens who enjoy coaching, but without the feel of a standard ‘kid’s ski school’ environment. This is for teenagers who can ski the whole mountain. 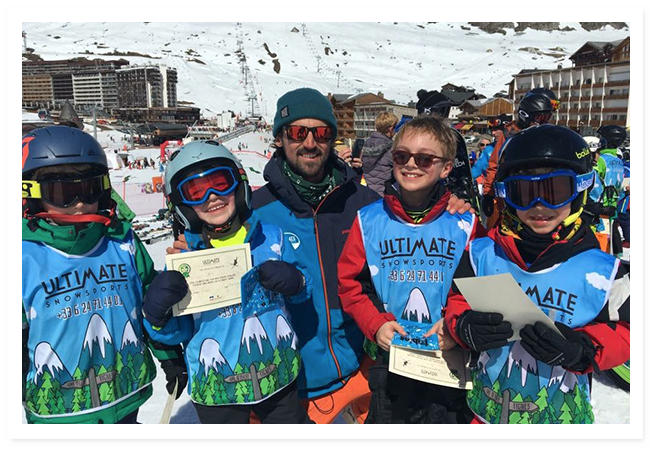 The aims are to improve on challenging pistes, venture into the off-piste (that is safe & easily accessible from the piste), attempt fun freestyle and develop skills in the bumps/moguls. Group size: up to a maximum of three per instructor, sessions are 2 hours long. Children of this age require a large amount of attention and support to ensure maximum safety, enjoyment and interaction whilst learning. We only offer private lessons at this level.